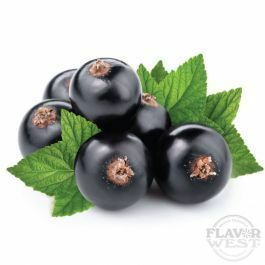 Add an extra edge to your cooking or baking with black currant flavor. This flavor offers a magnificent aroma and taste in drinks and baked treats. Type: Black Currant Water Soluble Flavoring. Ingredients: Natural and Artificial Flavoring and Propylene Glycol. USP Kosher Grade Flavoring. Usage Rate: 15-20% for E-use. Flavor suitability: Suitable cakes, yogurt, ice cream, drinks and beverages, cream and more. Specific Gravity: .98 No Refunds on Flavoring. Excellent black currant flavor. Very juicy, tart, and not overly sweet. I like that this flavoring doesn't present a heavy sweet note, it's got more the tart, bold flavor that is should.